The four-year-old bakery operates out of a small workshop and employees six special needs boys. The cakes are based on authentic recipes and come in Chocolate, Marble, Fruit, Mosambi Poppy Seed, Ginger Cinnamon and Walnut flavours. The madeleines and almond and chocolate financiers are the other two must-have desserts. 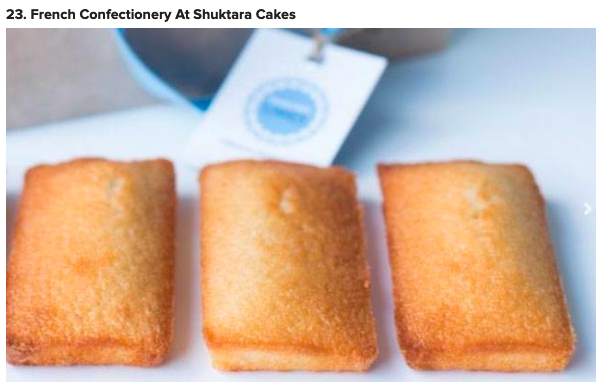 For the full article on 50 Things To Eat And Drink In Kolkata Before You Die click here.